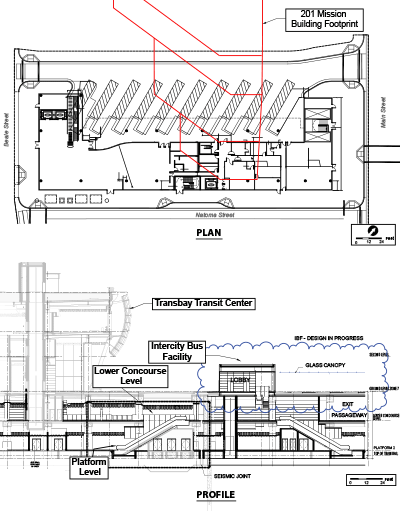 The 2004 FEIS/EIR included an intercity bus component as part of the Transit Center building. The proposed Intercity Bus Facility would take advantage of the area above the extended train box to construct a new facility between Beale and Main Streets, east of and across Beale Street from the Transit Center. It would serve Amtrak and private bus operators such as Greyhound.